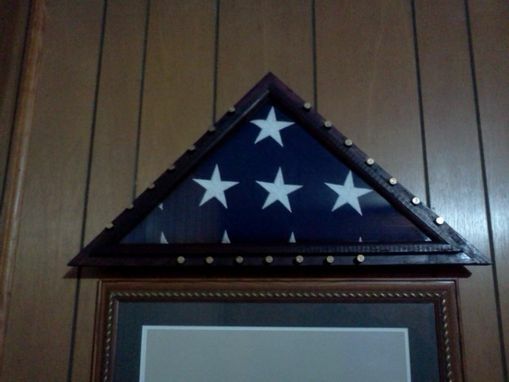 This flag case was built after a customers father passed away. 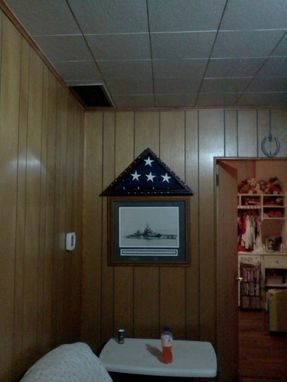 The brass accents are actually the spent rounds from the salute. 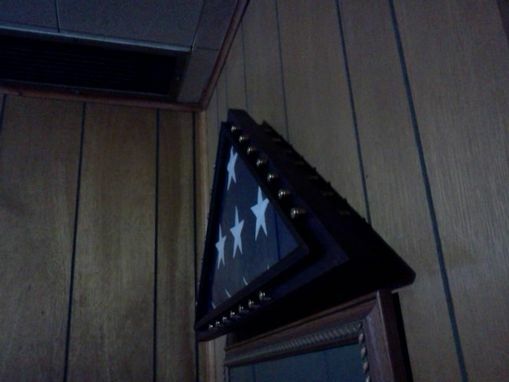 This Flag case is installed on the wall across from a display with all of her fathers medals.